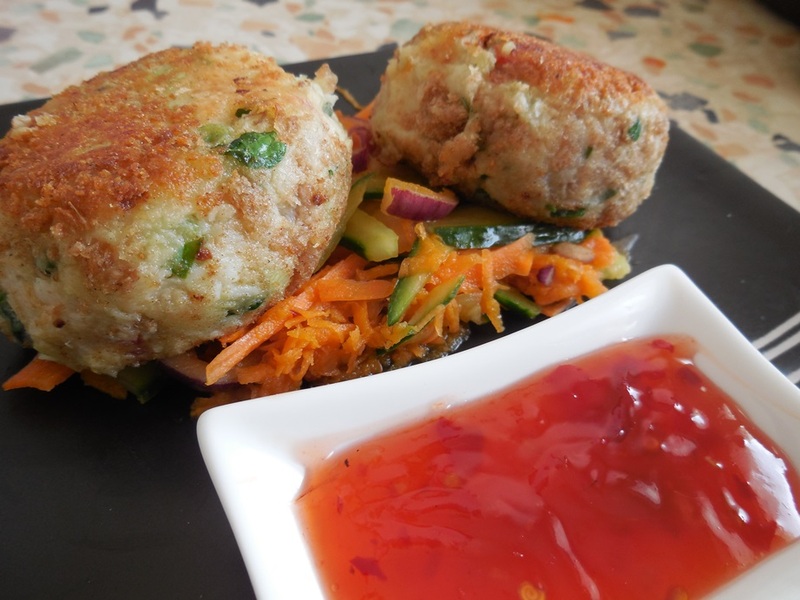 I never saw the fascination of fishcakes until very recently when I tried them at a farm shop. I never really liked them – until now that is – and this gave me the inspiration to make them for myself. I have to say, I think the recipe I designed turned out perfectly first time, which is unusual, especially with newly created dishes, so I haven’t experimented much with different combinations. But why mess with perfection? They are quite simple to make. The awkward part is the washing up, but trust me, it’s worth it! 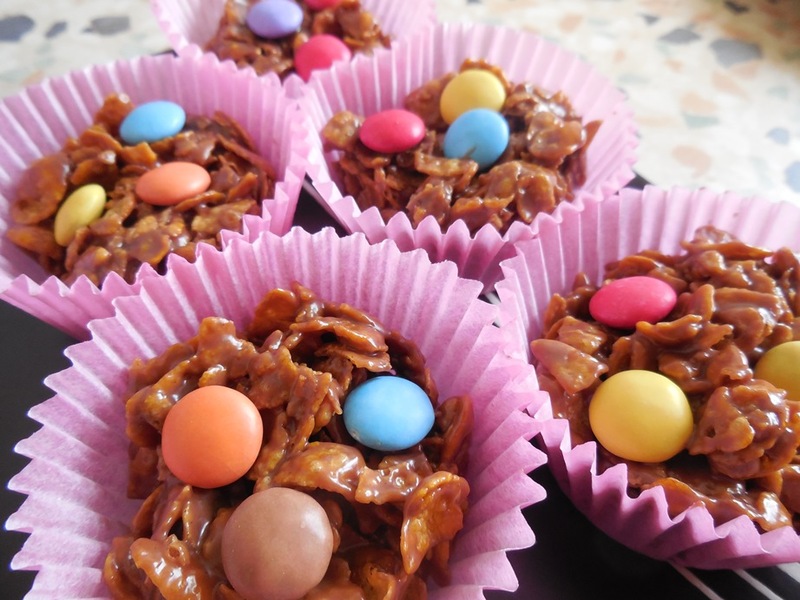 They can be made gluten free with a few tweaks, if needed. Section of cucumber, 7cm long, halved and sliced into strips. Peel, chop and boil the potatoes until soft enough to mash. Mash the potatoes with rapeseed oil and milk, adding just a little at a time to avoid a runny mixture. Place the cobbler in the oven as per the instructions (for cobbler, gas 6 for 10-12 minutes). While the cobbler is in the oven, peel the skins off the smoked mackerel and chop into small pieces. Chop the spring onions, pepper and parsley and stir into the mashed potato. Take the cobbler out of the over and chop into small pieces. Stir in the cobbler and smoked mackerel so they are incorporated into the mashed potato. Add salt and pepper to the mixture. Shape 8 fishcakes out of the mixture. They should be the approximate size of a muffin. Place some corn flour onto one plate and breadcrumbs onto another. Whisk the egg in a small bowl. Take each fish cake and cover it with corn flour, then the whisked egg and finally the breadcrumbs, until well coated. Heat some oil in a deep sided large frying pan (on a medium to high heat) and fry on each side for approximately 3-4 minutes, or until golden brown. For the bed of salad under the fish cakes, mix the onion, cucumber and carrot with a tbsp. of rapeseed oil, a squeeze of lemon, a pinch of chilli flakes and some sweet chilli sauce. Serve with some sweet chilli or soy sauce on the side. Try adding some fresh red chilli for a bit of a kick. Try making smaller fishcakes and serving them as finger snacks at a party. It is important not to make the mashed potato too runny so remember, add the oil and milk little by little, ensuring you can still shape the mixture easily.